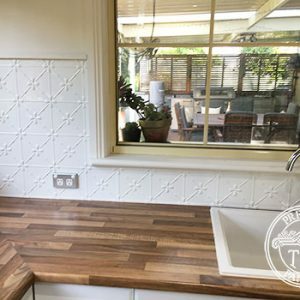 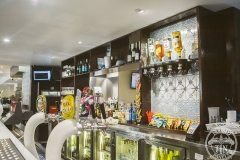 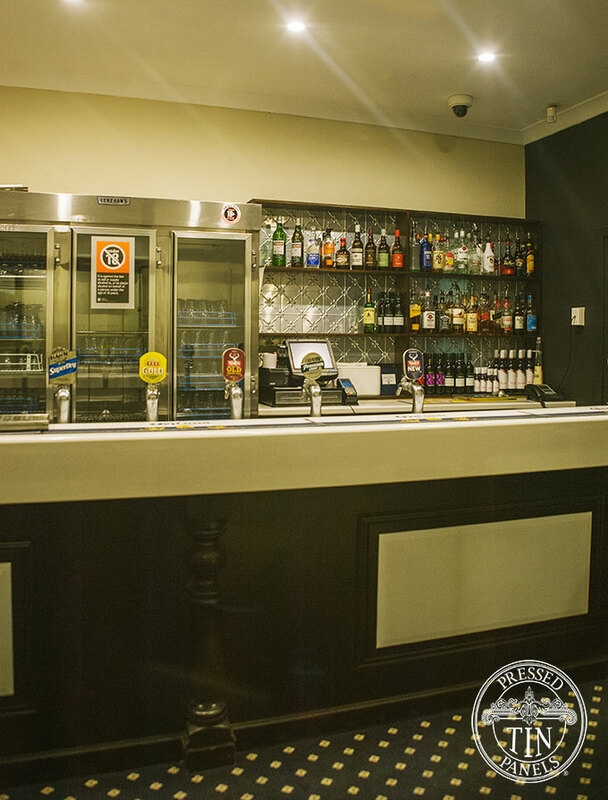 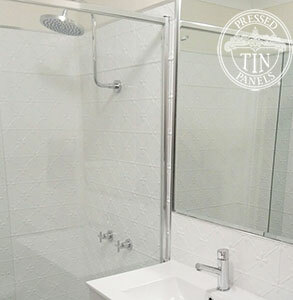 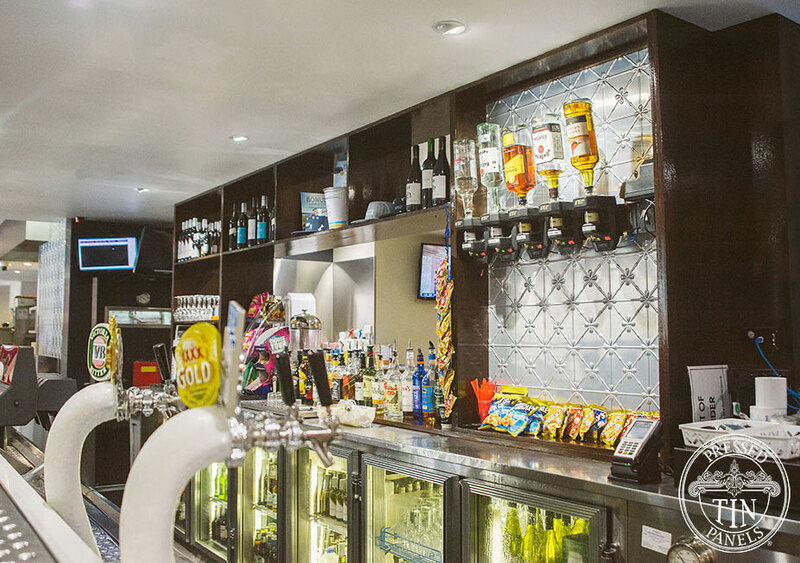 When Bathurst RSL Club , located on Rankin St, were looking for statement wall finishes for its hole-in-the-wall café: The Grind, they turned to Pressed Tin Panels® once again. 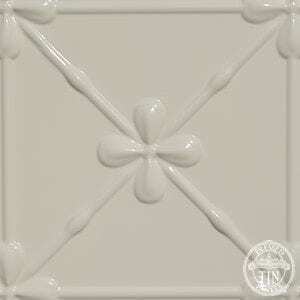 The Bright White powder coated Clover pattern wall panels were chosen to match the existing pattern as previously installed in the club’s Bistro/Bar area. They love how the panels give the café a heritage feel with a truly modern design look. 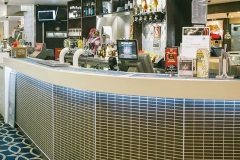 In an environment that requires constant maintenance, Bathurst RSL Club settled on the powder coated panels which not only allow for ease of cleaning but provide a professional finish whilst adding style to the facility’s finished look. 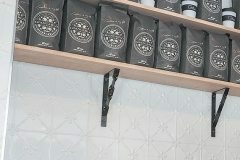 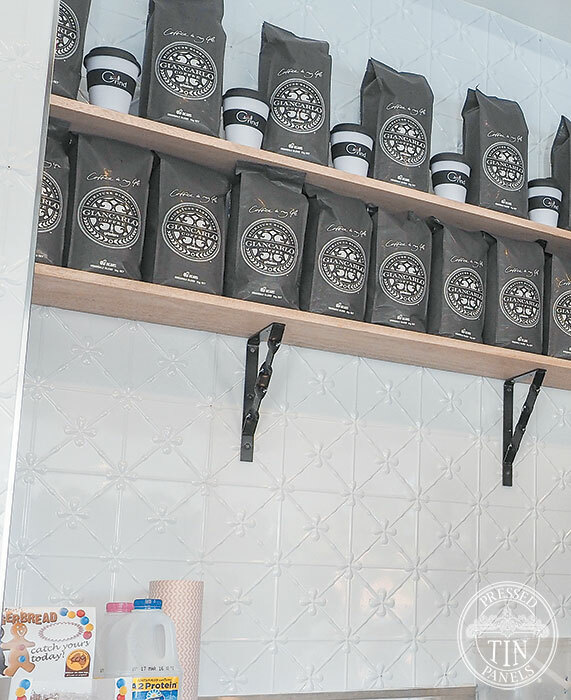 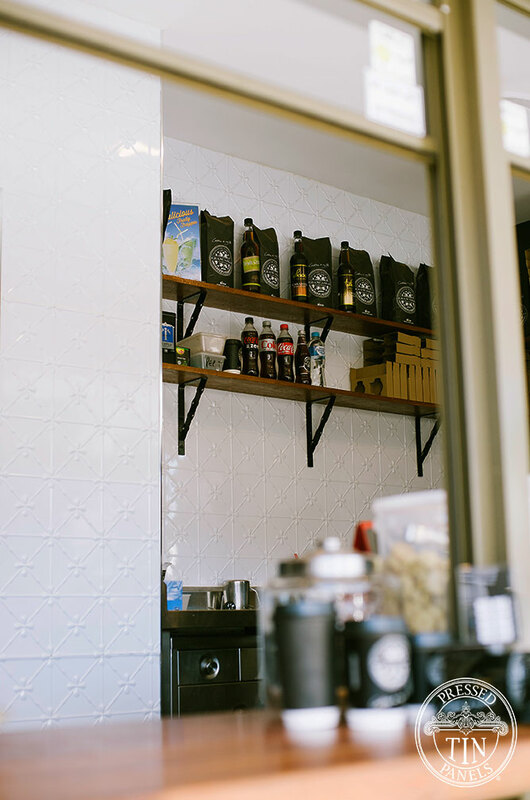 The overall effect of using Pressed Tin Panels® powder coated wall panels has ensured an eye-catching finish for the coffee outlet that is both functional and easy to manage. 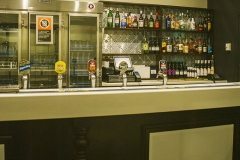 General Manager of the Bathurst RSL Club: Peter Sargent, said they were extremely happy with the finished look, especially given they were supporting a local, Bathurst based business in the process. 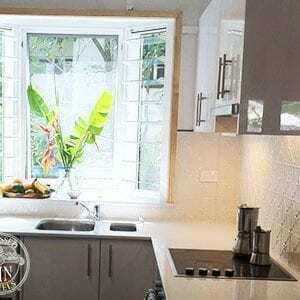 It suited our needs perfectly! 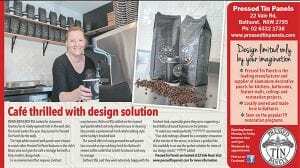 Of course, we LOVE the outcome! 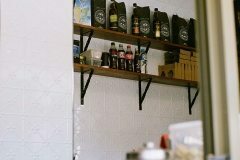 Huge thank you to Peter and the club for the support of our products! 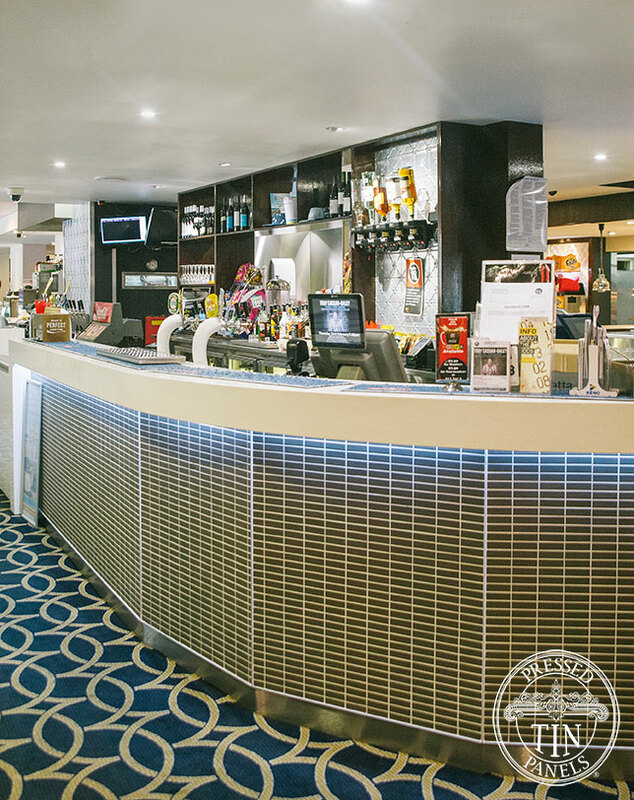 If you haven’t been into the club for a while – take a look, it is amazing! 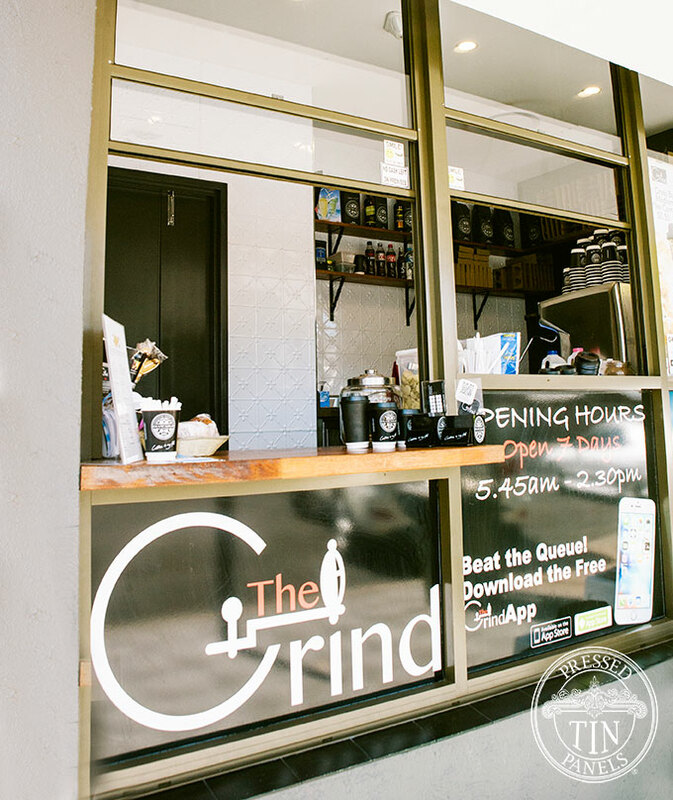 The Grind coffee is pretty damn good too. 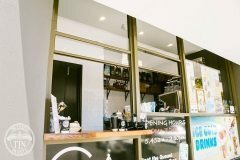 Words edited from Bathurst City Life article 2016. 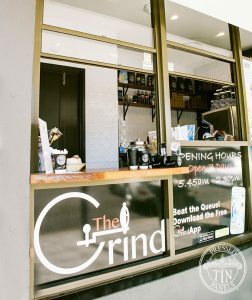 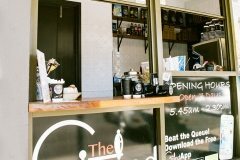 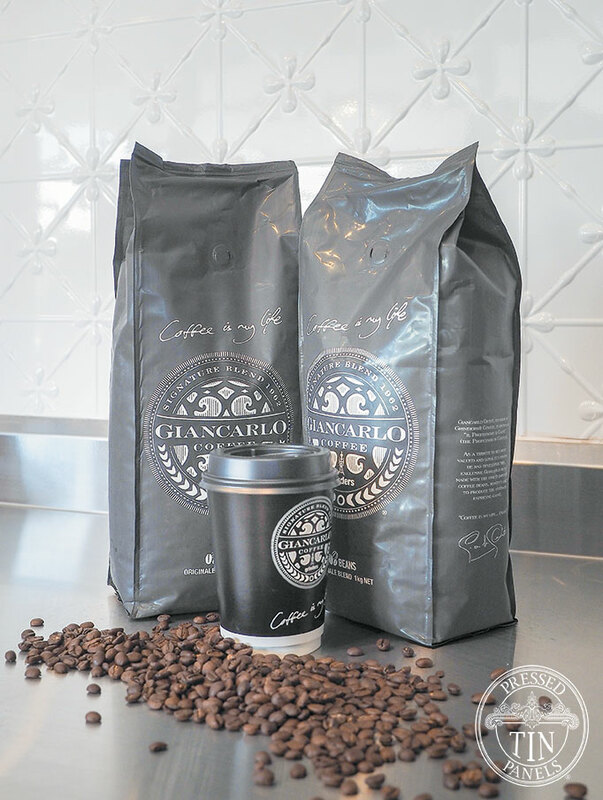 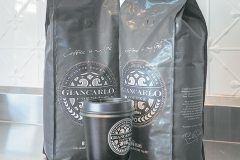 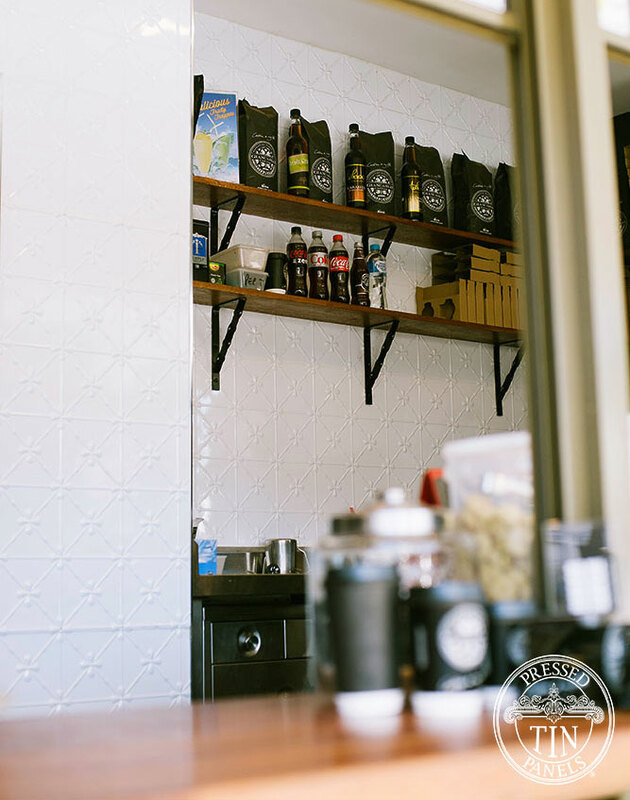 The Grind coffee cafe – a part of the RSL club located on Rankin St, Bathurst, NSW.